Bill has lived in Woodley for the past 31 years. He is married to Hilary and has two daughters and three grandchildren. He is a Woodley Town Councillor and was Mayor of Woodley in 2013/14. He runs his own business in Woodley. Apart from his business and political interests he has been a member of Woodley Carnival Committee for the pasts 28 years and was chairman for 10 years. 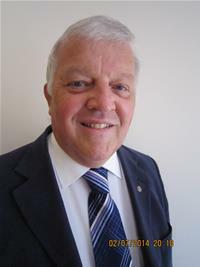 He is at present president of the Rotary Club of Loddon Vale, and a member of the Woodley War Memorial Committee.